New York Painting Contractor Services specializes in exceptional interior and exterior commercial and residential painting projects. We have years of experience contracting to paint residential properties and small to large commercial buildings. We also offer full water damage restoration. Painting is the finishing touch of any residential structure and as such it needs to look outstanding. Many of the homes in our Northeastern Area were built decades ago and their paint finishes have become worn and weathered from season after season of freezing winters, blistering and humid summers and pelting rains. At New York Painting Services, we understand how our environment affects the exterior of your home over time. 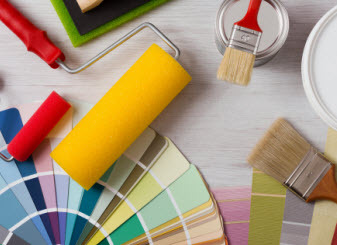 Our home painter experts can update and restore your home’s appearance, giving the home a brand new look that will last for many years to come. 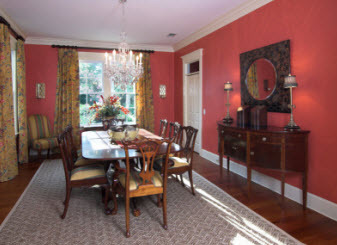 For interior painting services, no job is too big or too small for our interior painters. We can apply the finishing touches to your newly remodeled kitchen or bath, or make your porch look as good as the day it was first finished. 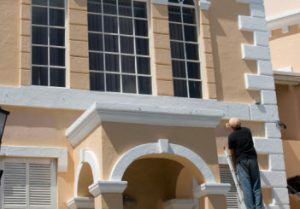 As expert commercial painters, we understand the unique demands of painting commercial structures. Commercial painting requires different skills and inherently presents different challenges due to the fact that the appearance of a business is often imperative. Some of these special concerns include having scalable painting efficiencies, meeting tenant demands, different equipment, additional training and high-up safety measures. New York Painting Services is equipped for even the largest commercial painting projects. We are a full service commercial painter and can consult with you on any commercial painting project. The New York Painting Services staff think of themselves as more than simply a painting contractor. We are a real part of the community we serve. We take great pride in serving the residents of New York and New Jersey since 2004. If your looking for a painter in Rye, Larchmont, Bronxville or in any of our many service areas, call New York Painting Services today! Here is a list of the communities we hope to continue to beautify! We specialize in house painting in the greater New York region – both interior and exterior. It all begins with our commitment to client satisfaction and ends with a job that exceeds your expectations. Choose the house painter you can rely on! 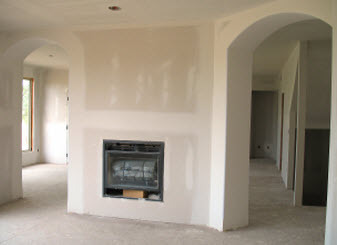 We are experienced in repairing damaged walls and ceilings. With a decade of experience we have encountered and dealt with a spectrum of issues in drywall repair and restoration. A good commercial or residential painter knows that the proper color scheme is everything. You might want to just freshen up the place a little or change its look completely. We offer Free Color Consultations and Free Estimates. Rye | Larchmont | Bronxville | Scarsdale | Chappaqua | Glen Head | Brooklyn | Yonkers | Tarrytown | Manhattan | White Plains NY | and more!